Find a course or two to take next semester! We offer high-demand programs that are geared toward working adult students. Take the first step to becoming a student by downloading our Course Schedule. It lists all the courses being offered next term and an overview of everything you need to know about registering for class. 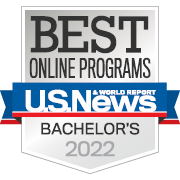 In 2018, Granite State College once again landed a top ranking from U.S. News & World Report for Best Online Programs! We are regionally accredited by NEASC and proud to feature a range of accreditations and achievements that support the value of your education at Granite State College.